Volume fell significantly, making the indexes’ gains less impressive. Still, we note that Wednesday’s activity was very high, and thus a tough comparison. Also disappointing was the rally’s depth: Gainers beat losers by 5-to-3 on the NYSE and on the Nasdaq by not quite 4-to-3. Those results don’t paint an exciting reversal. This generally is the stage of a campaign when Democrats have to work hard to get excited about whichever candidate seems most likely to outlast an uninspiring pack. That is not remotely the case this year. 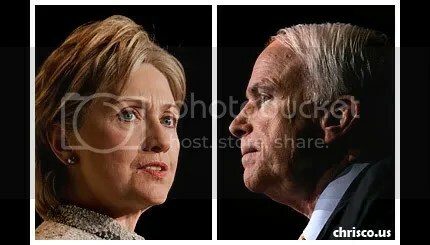 The early primaries produced two powerful main contenders: Hillary Clinton, the brilliant if at times harsh-sounding senator from New York; and Barack Obama, the incandescent if still undefined senator from Illinois. The remaining long shot, John Edwards, has enlivened the race with his own brand of raw populism.